• Diagonal posterior chain or "opening chain"
• Diagonal anterior chain or "closing chain"
When standing, gravity tends to top the upper body forward. 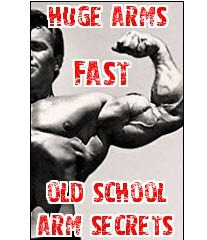 The body counteracts this with two passive (that is, using little energy) mechanisms. These are, on the one hand, the pleural and peritoneal spaces that exert an expansive power and, on the other hand, a ligamentous and fascial chain from the frontal bone to the sacrum. Fig. 2.11 a, b Static posterior chain according to Busquet. Fig. 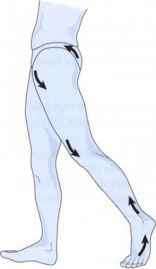 2.10a, b "Closing tendency" (curling in) during support-seeking processes and spasms in the abdomen. Fig. 2.12a-c Flexion chain, or straight anterior chain, according to Busquet. On the other extremities, it continues on the outside of the legs all the way to the feet. This is for good reason: during walking, gravity tends to tip the body weight toward the leg in the swinging phase. • Physical and psychological "curling up"
Fig. 2.13a, b Extension chain, or straight posterior chain, according to Busquet. The extensor chain turns the ilium forward, extends the hip and knee, makes a plantar flexion in the ankle joint, and lowers the foot arch. The diagonal chains facilitate torsion of the trunk. The anterior diagonal chains cause a forward torsion, and the posterior ones a backward torsion. When both ventral diagonal chains dominate, the shoulders and both iliac bones are pulled forward medially. Both dorsal diagonal chains pull the shoulders and iliac bones backward. 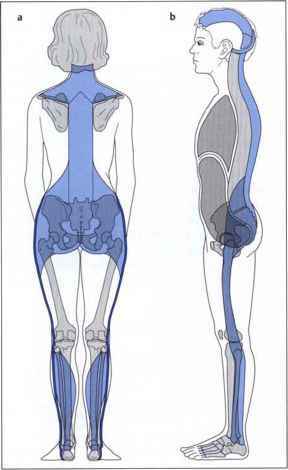 In the lower extremities, they have a similar effect. 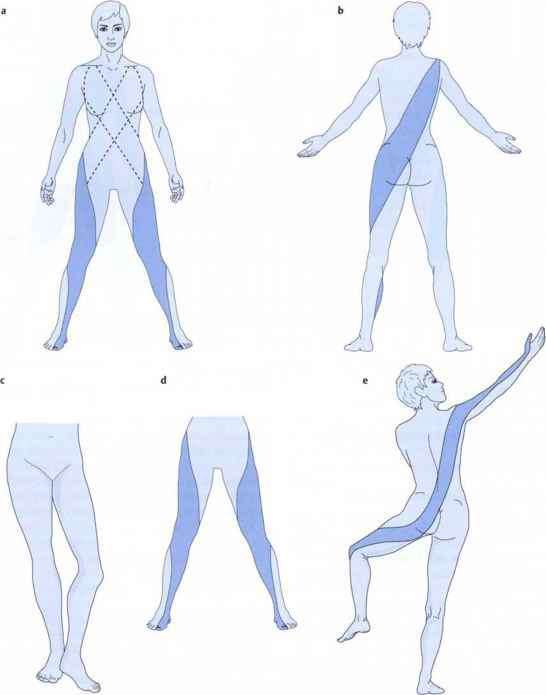 The dorsal diagonal chains cause abduction and external rotation in the leg, while the anterior diagonal chains cause adduction and internal rotation of the legs. Fig. 2.14a-e Diagonal posterior chain, or opening chain, according to Busquet. In this chain, the ilium makes an outflare, the hip an ABD and external rotation, the knee a varus position, the foot a supination. Fig. 2.15a-c Diagonal anterior chain, or closing chain, according to Busquet. Diagonal Anterior Chain or "Closing Chain"
The left diagonal anterior chain serves as an example here (left ilium to right shoulder). 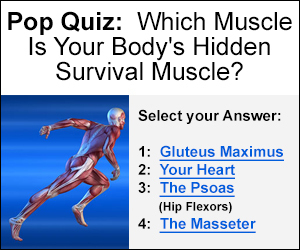 What muscles are in the anterior chain?